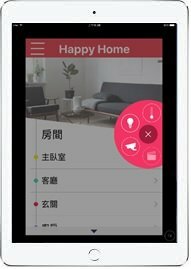 With the evolution of telecommunication technology, today almost everyone has a smartphone, through FAVISA APP that develop by Avadesign Technology Co., Ltd., keep your portable phone became smart home multi-function remote controller, and you can enjoy your smart home life immediately. No matter visitors intercom, door lock control, porch lamp on / off, interior lighting brightness and color adjustment, air conditioning on / off, the curtains open / close, doors and windows sensors for security, monitor camera..., etc., are all in your control and good for both home security and automation. Avadesign’s FAVISA smart home system is ready for you. It provides a graphical man-machine interface, easy to install, and easy to operate. 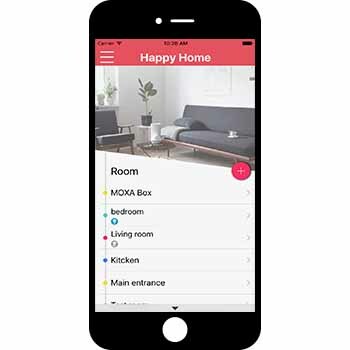 FAVISA make smart home new technology into your family life easily. Now your home can respond to your daily schedule and needs, so you can get more comfortable and convenient interactive life experience.